Anderson .Paak | The Official Anderson .Paak Merch Store on Merchbar - Shop Now! Your one stop shop for authentic, high quality merchandise from American rapper, songwriter, drummer, singer, record producer and Grammy nominee, Anderson Paak. 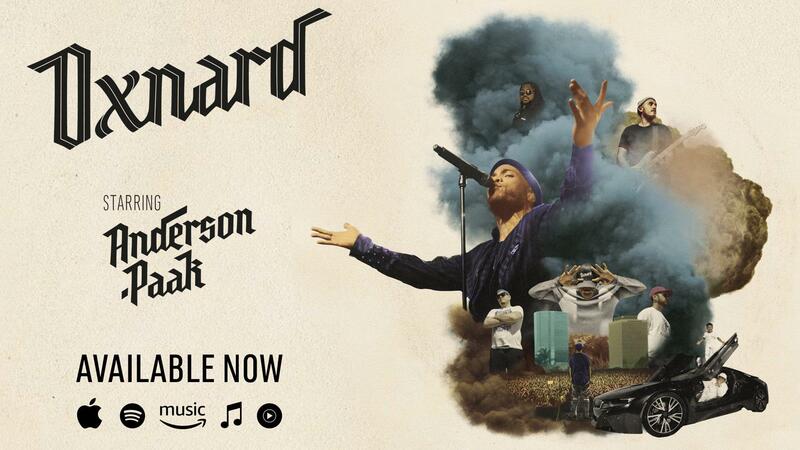 Pick up a copy of Anderson .Paak's first official release on Dr. Dre’s Aftermath Entertainment, "Oxnard". Shop our huge selection of Anderson Paak shirts, Anderson .Paak hats, Anderson .Paak joggers and other Anderson .Paak merchandise in our official Anderson .Paak. merch store.